The 18th-century architecture ensemble was built following the order of Catherine II in Neo-Gothic style, after projects of the Bazhenov and Kazakov, and it is the only 18th-century architectural ensemble of such dimensions in Russia. 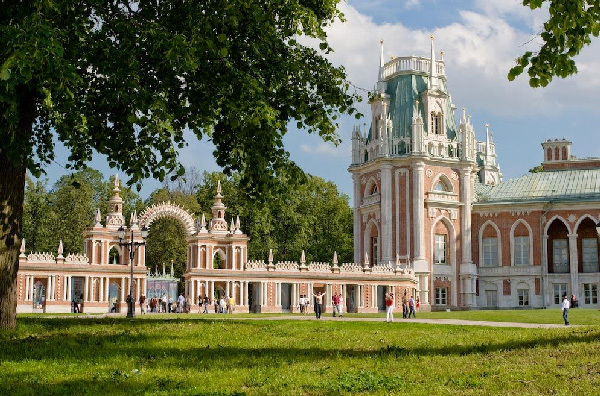 State historical-architectural, artistic and landscaping museum-reserve “Tsarina” is located in the south of Moscow, and includes the palace complex, a greenhouse, a historic landscape park with ponds and pavilions, and new parks and flower beds with light and music fountain. The entire territory of the museum-reserve occupies 405 hectares.
. Its construction began in 1775 by the architect Vasily Bazhenov. 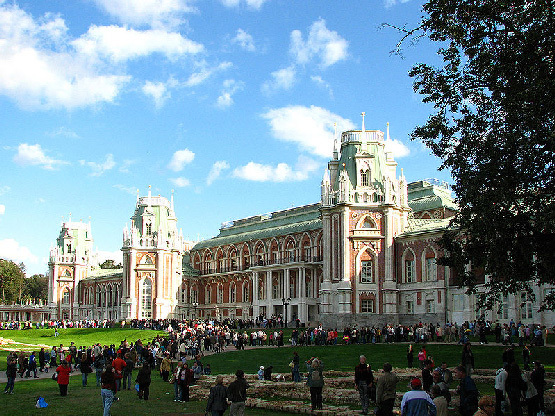 The compositional center of the complex – the Grand Palace, built by the architect MF Kazakov. After the death of Catherine II, all the work in Tsaritsyn were discontinued. In 1984 it was founded the Museum of Decorative and Applied Arts of the USSR and a gradual recovery of the architectural ensemble. 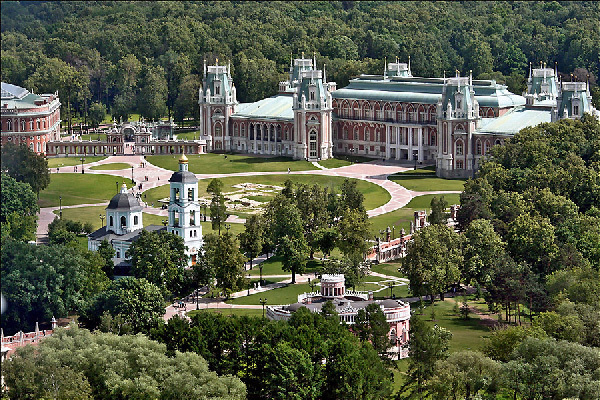 In 1992 the museum was transformed into the Historical and Architectural Art and Landscape Museum-Reserve “Tsaritsyno”. Exhibition activities of the museum began in the mid-1990s. 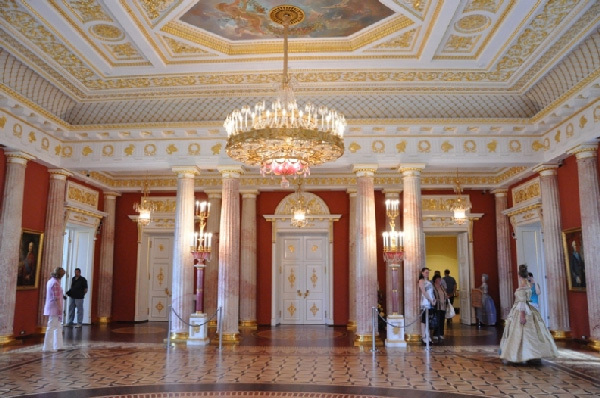 Since 1994, the exhibition is located in the pavilions built on the draft Bazhenov: first, the Second Cavalry Building, and later – in the Small Palace and the Opera House (Middle palace). After reconstruction in 2005-2007 permanent exhibition housed in the halls of Bread House and the Grand Palace. In 2011, the general public has been opened recreated from drawings of the XIX century Greenhouse complex. 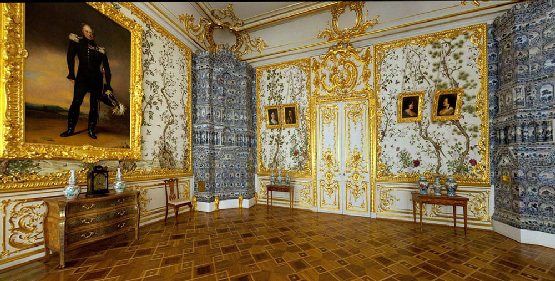 In 2014, after two years of restoration restaratsii reopened Opera House (Middle palace) in 2015 should again throw open its doors to the Small Palace of Catherine II. Currently, the museum has been active exhibition activities, including international. Since 2014, the project “Museum tour”, enabling the museums of Moscow and Russian regions represented in the State Museum “Tsarina” their collections and the various areas of its activities. The Opera House (Middle palace) housed the exhibition “Palace of the palace,” presents a collection of sculptures from the Ostankino Palace of Count NP Sheremetev. In 2015, refreshed and was supplemented with new exhibits permanent exhibition “The Art of tapestry: two glorious era”; with the help of multimedia technology in a completely new story shows the destruction and restoration of the Grand Palace. An important trend in the work of the museum-reserve “Tsarina” – educational programs. Over 40 different tours and master classes, educational and entertaining programs for adults and children are held in the palace, and the greenhouse complexes, as well as outdoors. 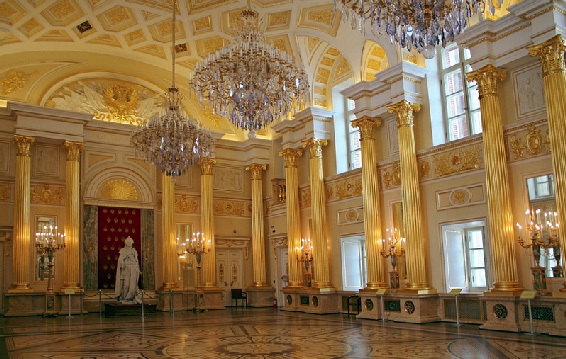 In the halls of the Grand Palace in the summer and in the territory of the Tsaritsyno Park concerts of classical and modern music in the atrium of the Bread House – organ recitals. Every year, “Tsarina” becomes a venue for Russian and international music festivals. 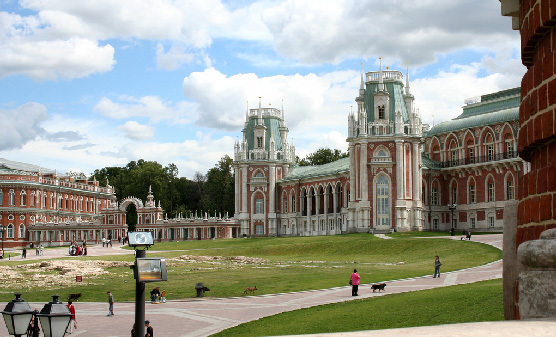 Tsaritsino landscaped park – one of the oldest in Russia. 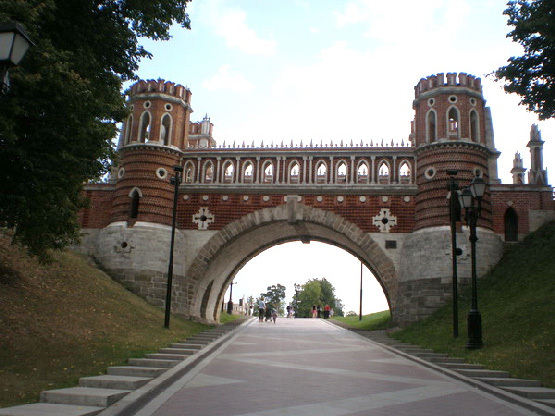 Since July 2014 in an open-air pavilions arranged free banner exhibition that introduces visitors to the history and collections of Tsaritsyno Museum. To move around the park, you can not only walk, but also electric vehicles, and in Tsaritsyn pond – boats and catamarans. The museum-reserve areas are located for outdoor activities in different seasons: ski trail, ice rink, climbing wall and more. In the spring of 2014 the park opened a dance floor. Museum “Tsarina” adapted for people with disabilities and for visitors with small children: the entrance to the exposition buildings and concert halls are equipped with ramps and elevators, stairs are equipped with anti-slip stickers next to the museum building is a parking lot. At the reception desk during your stay in the museum you can take a stroller, high chair, walker and carrying a child. Educational and excursion programs are adapted for visitors with special needs, permanent exhibits are labeled with the words made in Braille. The park grounds contain the group of burial mounds (Kurgans) that belong to the Early Slavs tribe Vyatichs dated to the 11th-13th century.